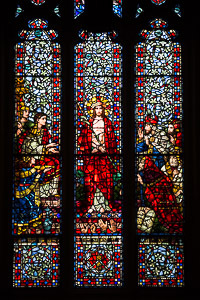 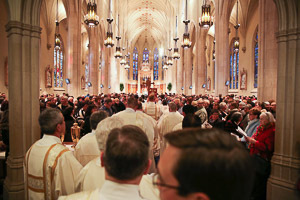 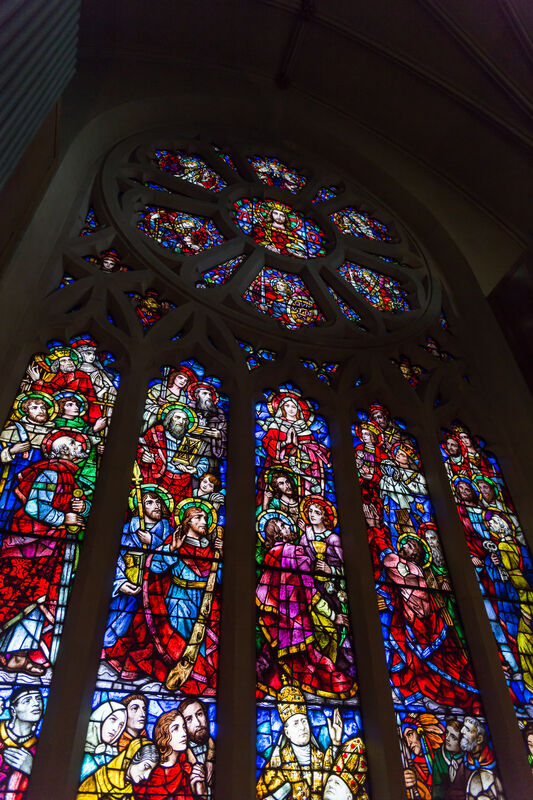 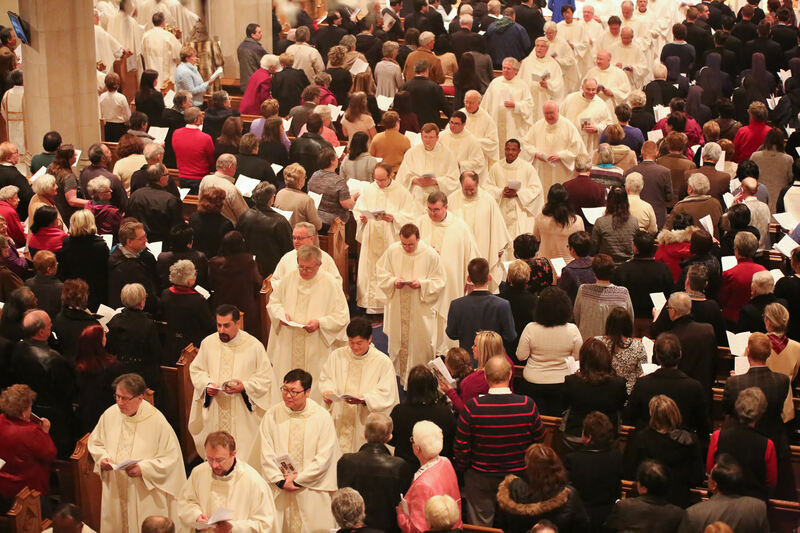 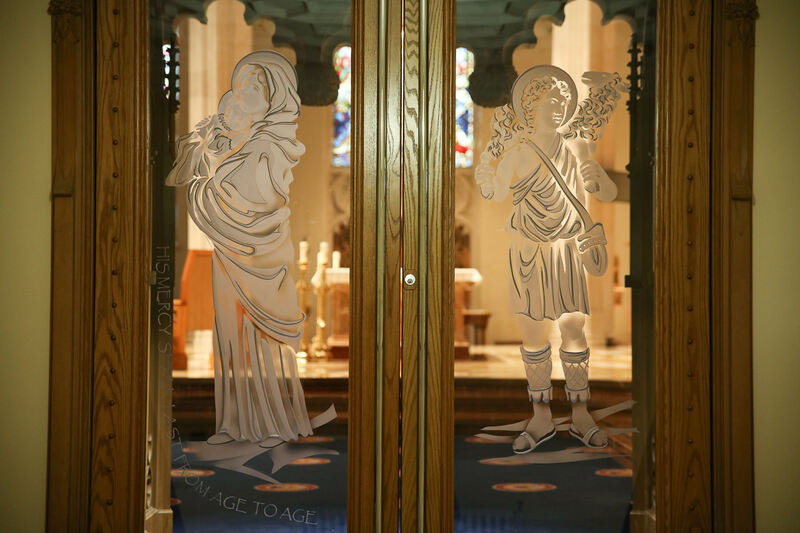 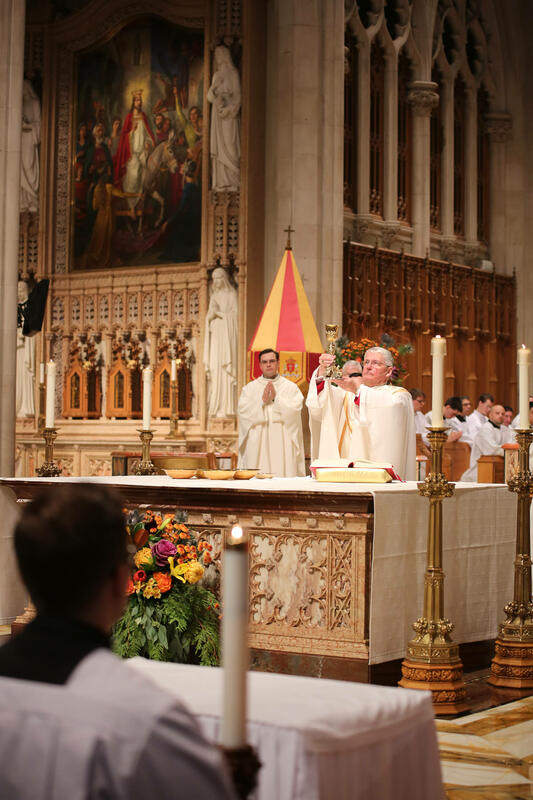 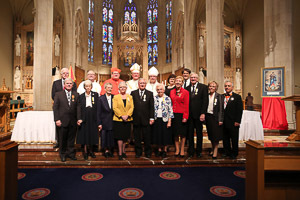 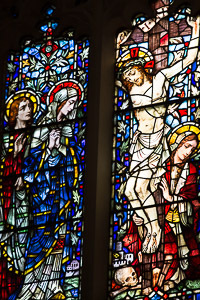 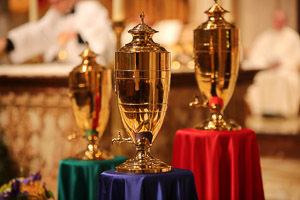 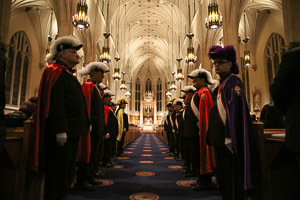 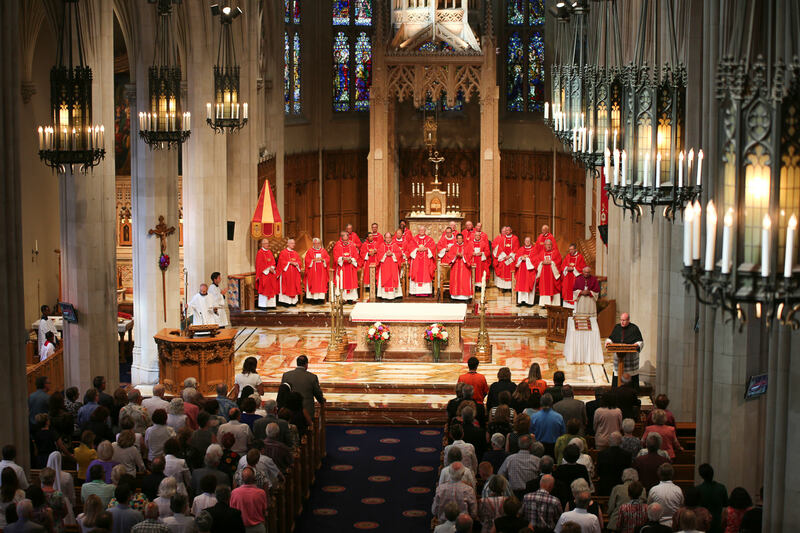 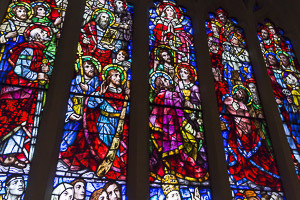 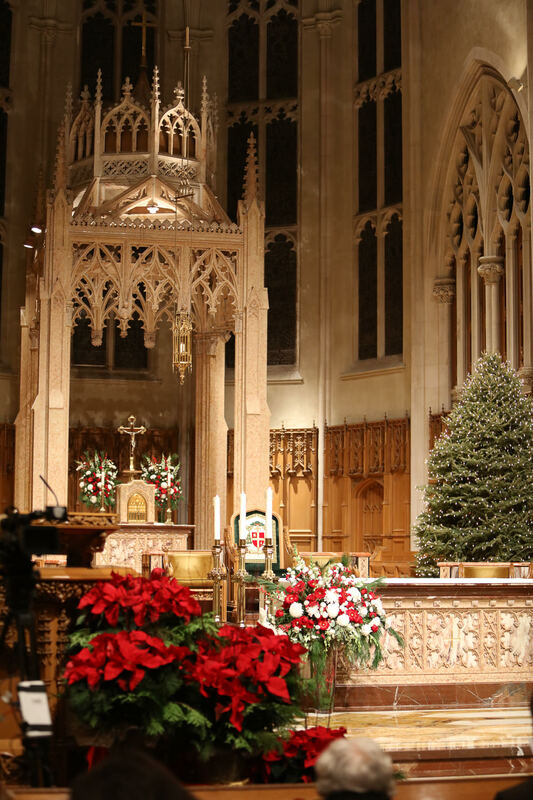 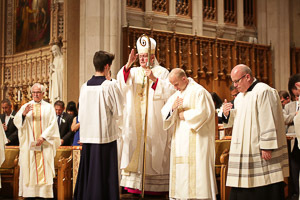 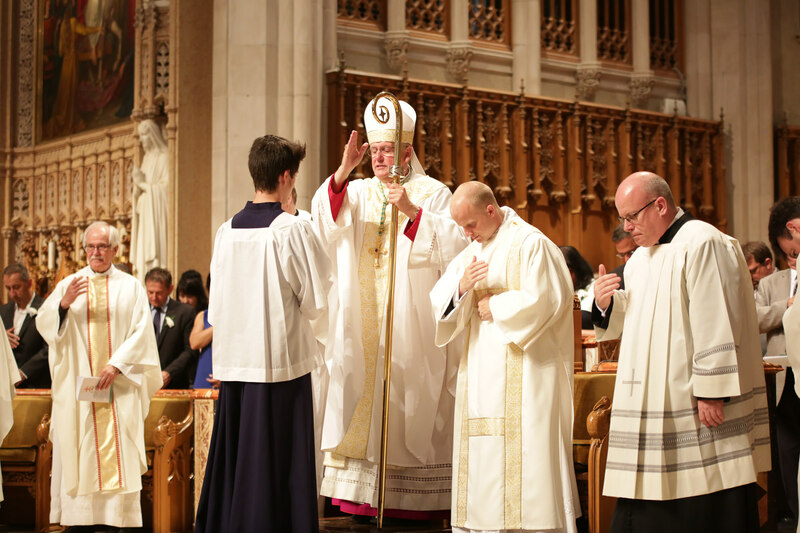 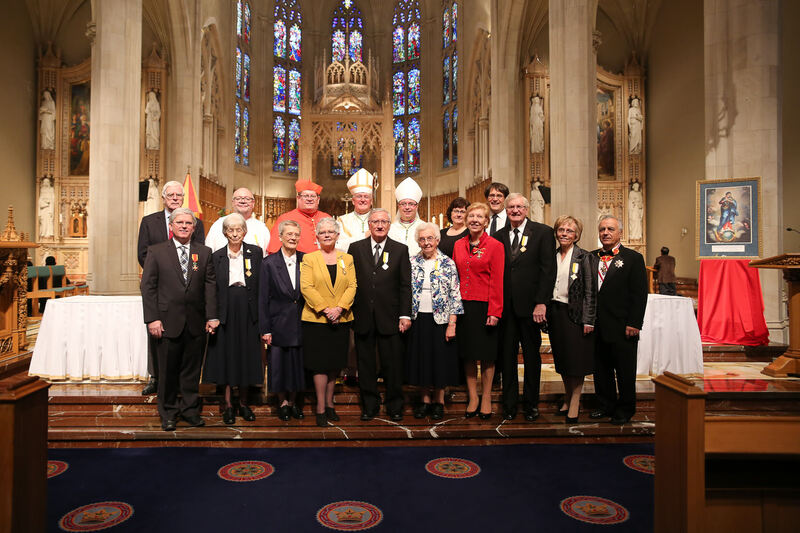 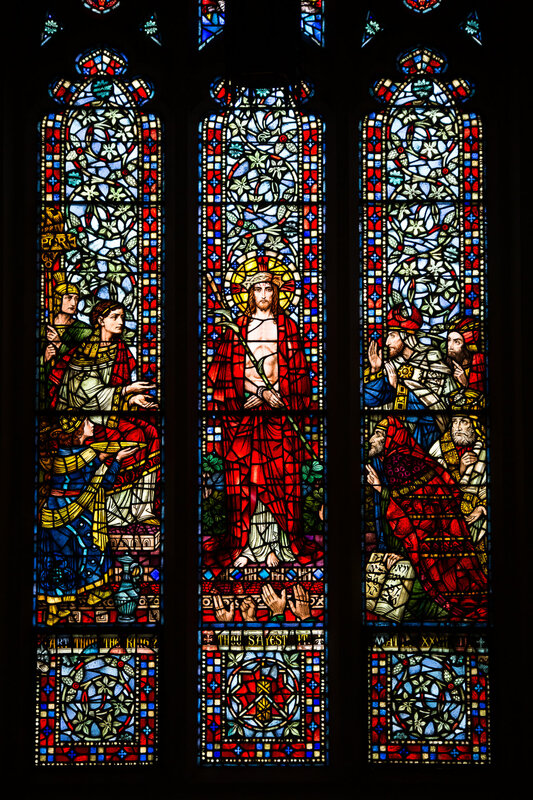 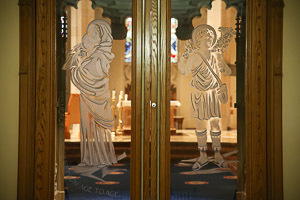 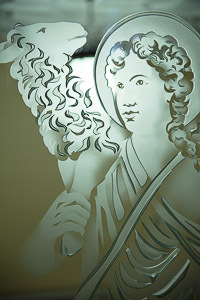 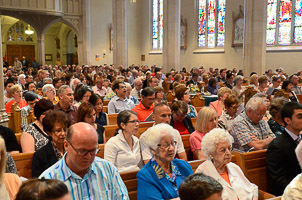 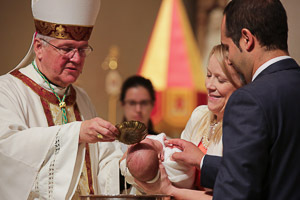 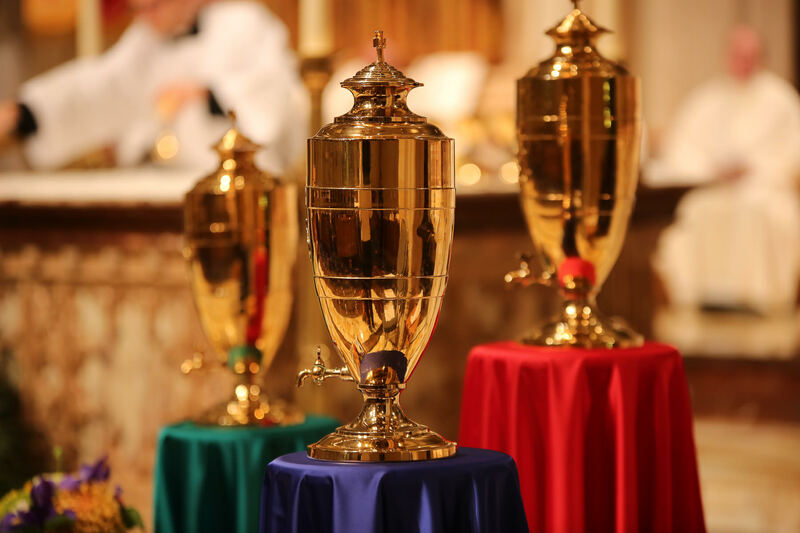 February 25th, 2013 – in the Cathedral’s 80th year – Pope Benedict XVI honored the Cathedral Church and the Diocese of Hamilton with “basilica” designation for Christ the King. 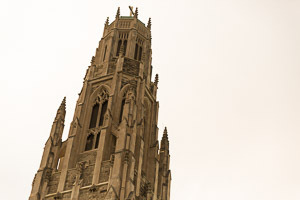 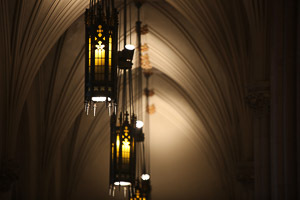 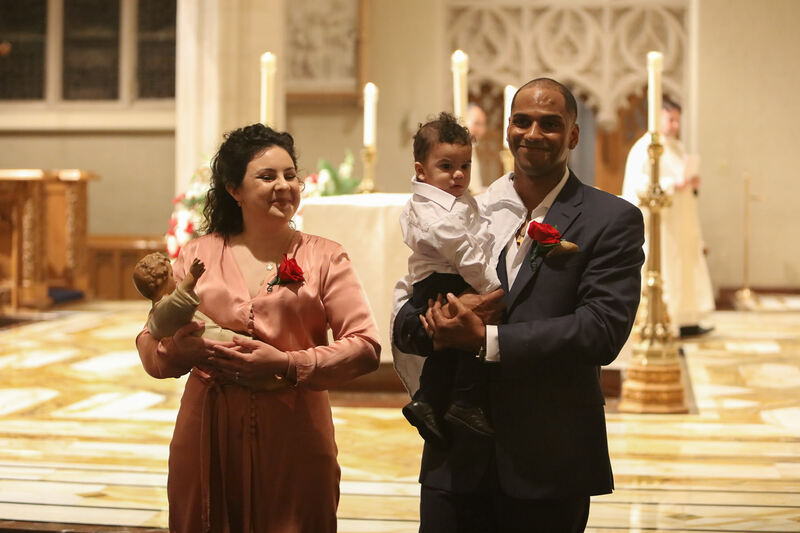 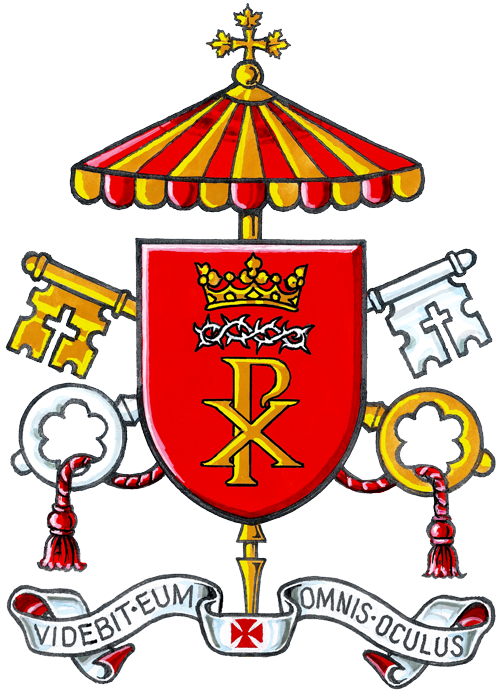 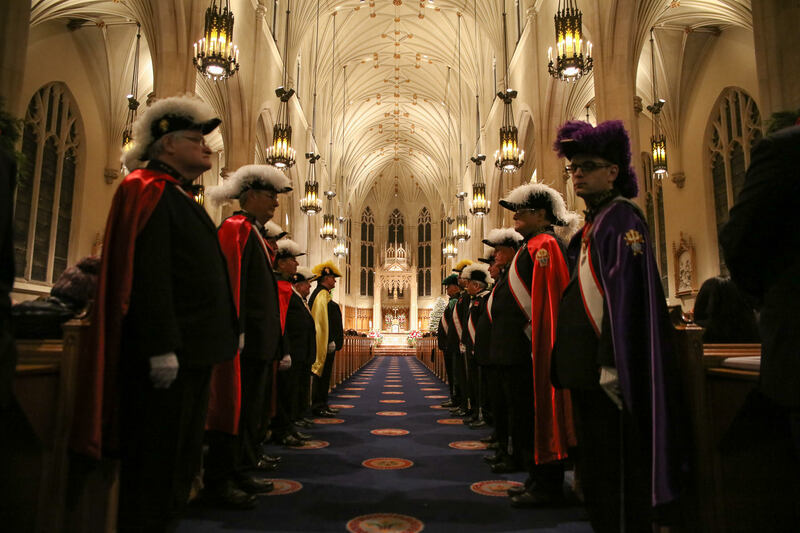 This honorific allows the Cathedral Basilica to devise a coat of arms using the Papal crossed keys and the umbrellino as signs of our close connection with the Holy Father. 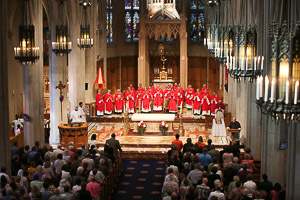 The shield with a field of red for the blood of Christ, displays the chi ro an ancient symbol for Christ. 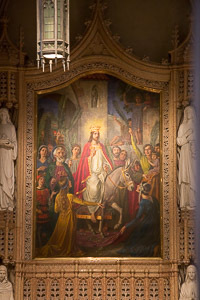 Above the chi ro is the crown of thorns and the crown of glory. 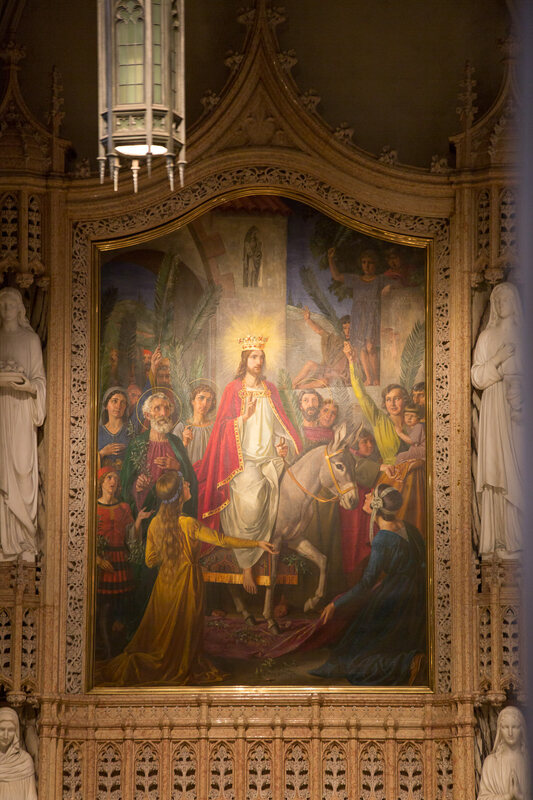 These symbols refer to Christ the King who, through the passion and cross, won victory over sin and death. The Latin motto, Videbit eum omnis oculus, translates “Every eye shall see Him.” It is taken from Revelation 1.7 and is often proclaimed on the feast of Christ the King. 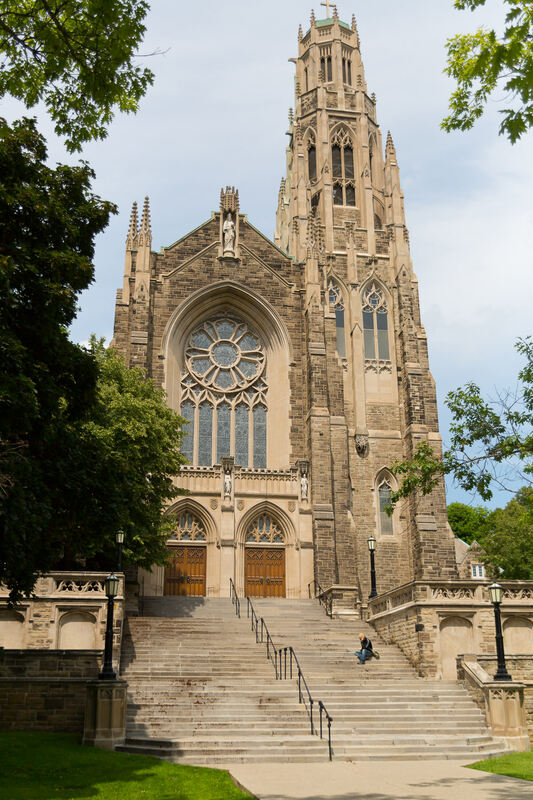 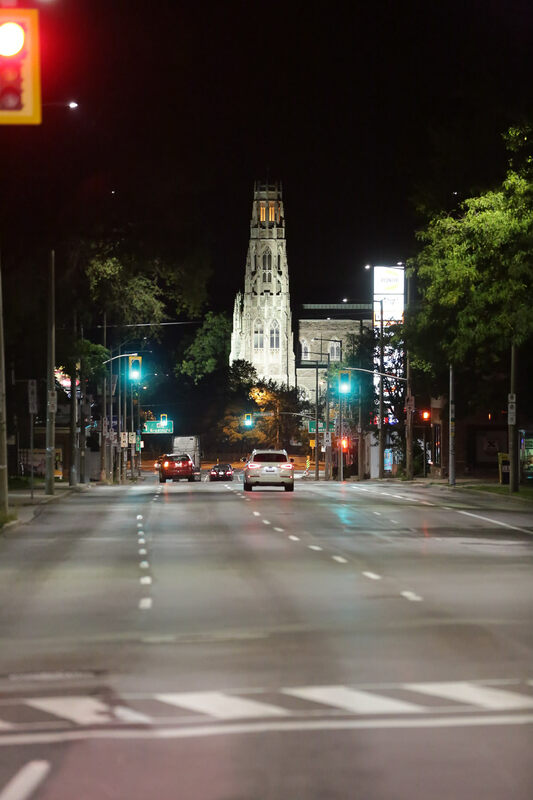 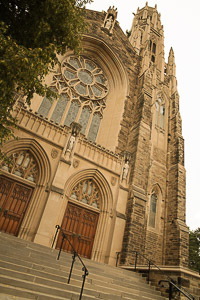 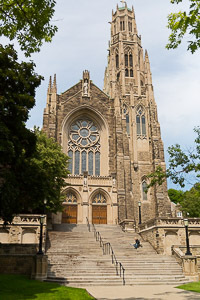 The Cathedral Basilica dominates the view at the intersection of King Street and Highway 403 at the western entrance of the City of Hamilton. 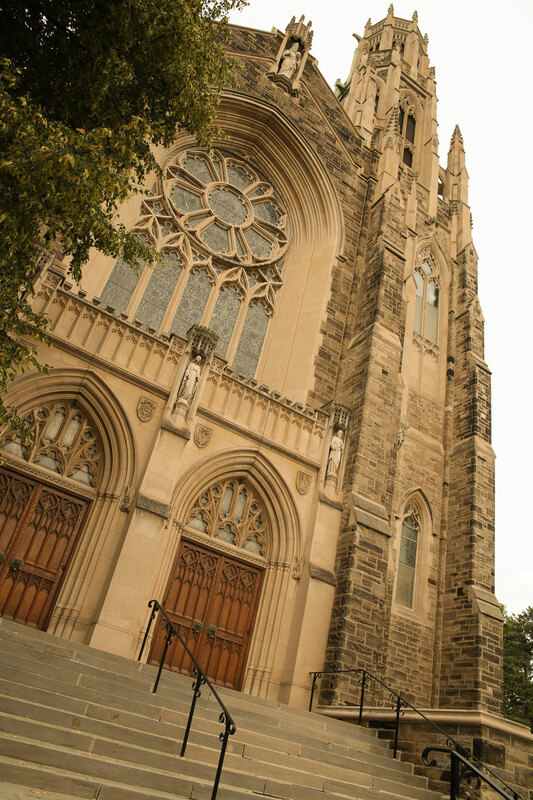 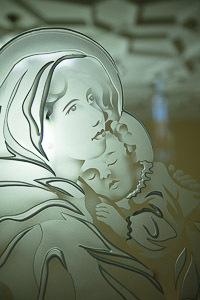 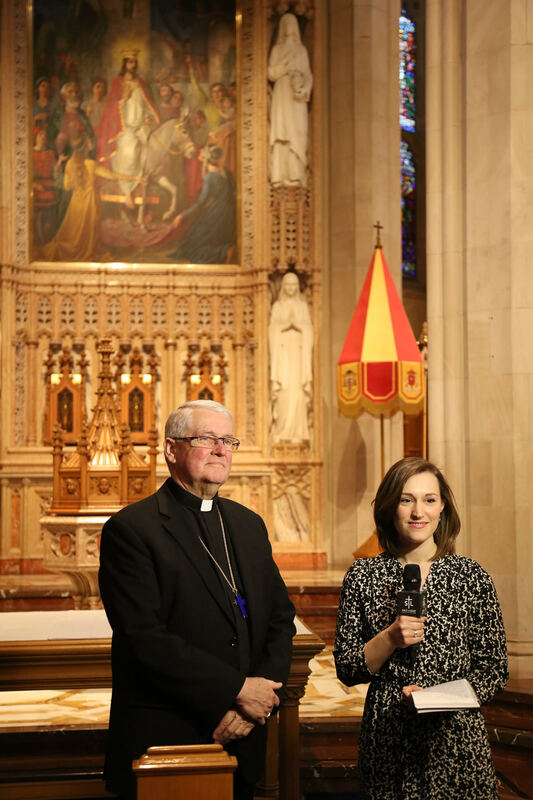 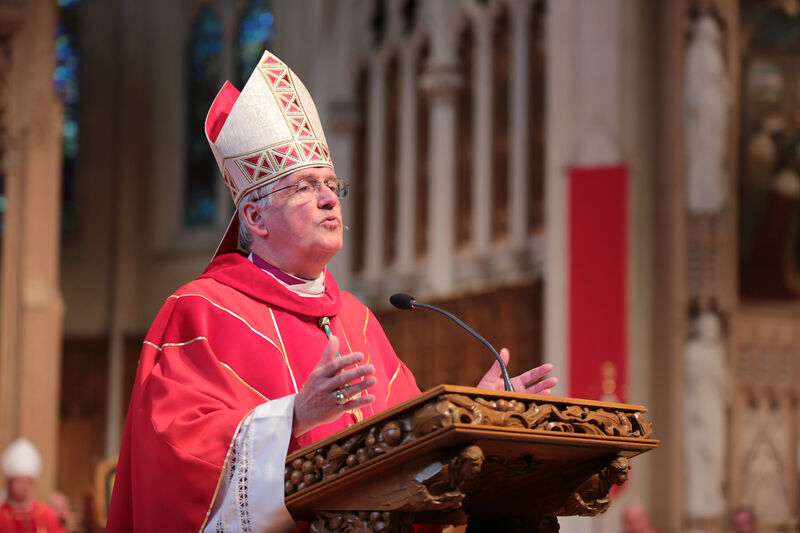 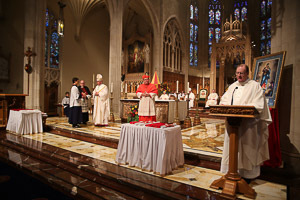 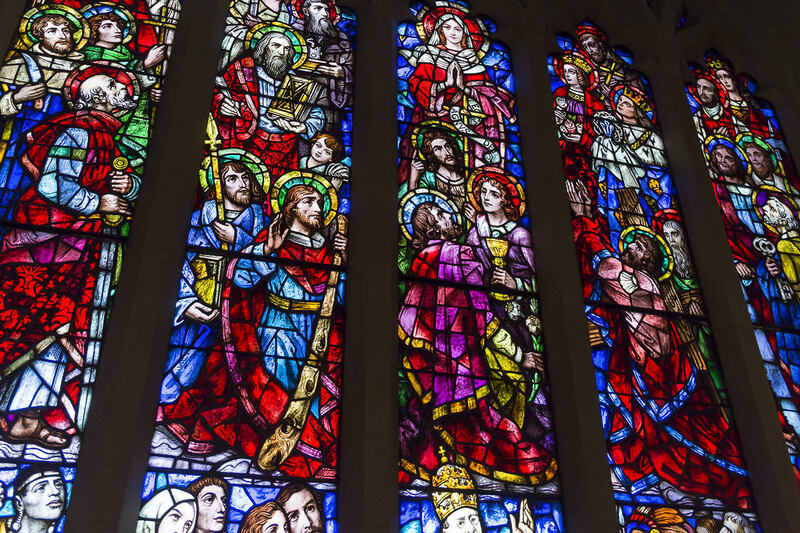 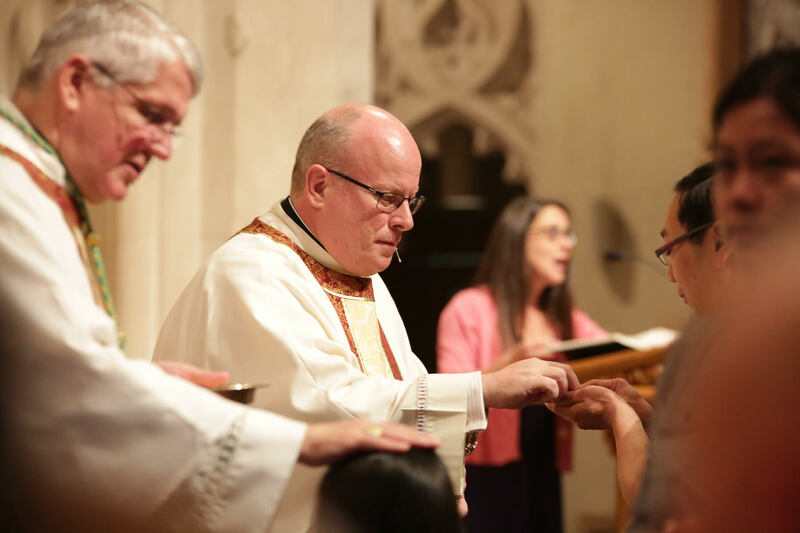 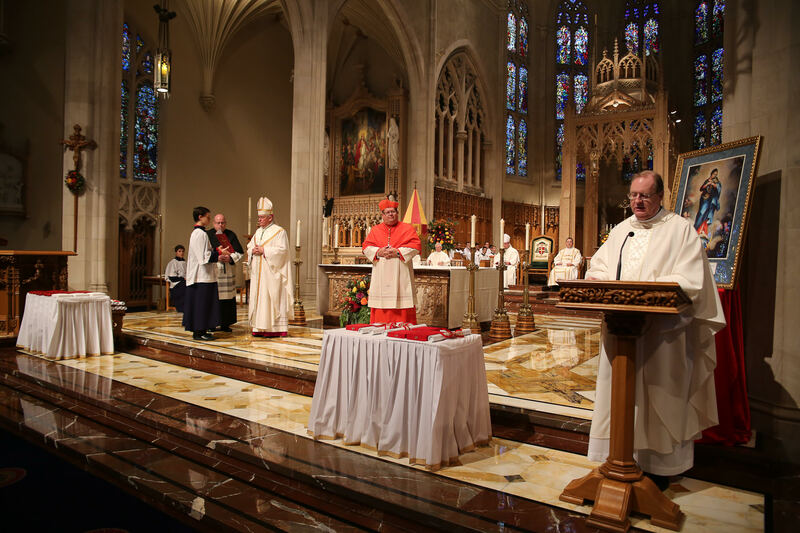 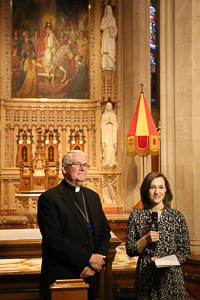 When John T. McNally was appointed Bishop of Hamilton he recognized the need for a new Cathedral to serve the growing Diocese. 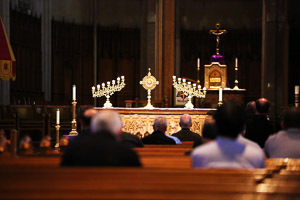 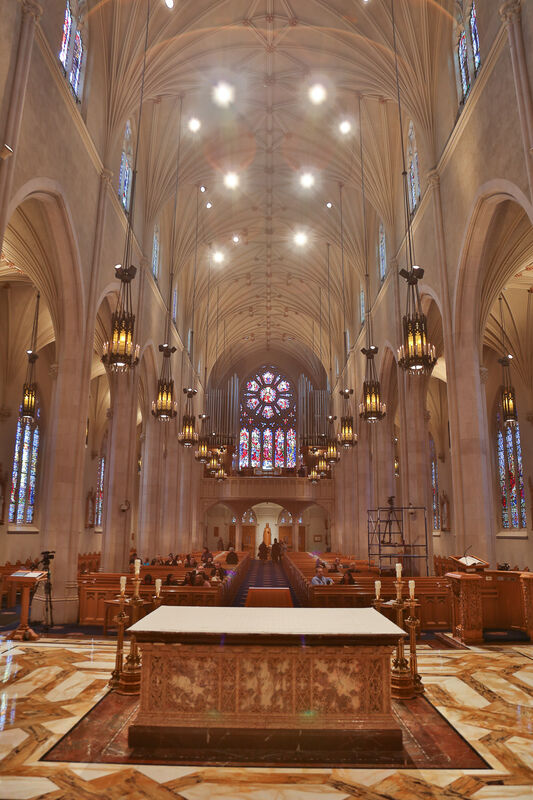 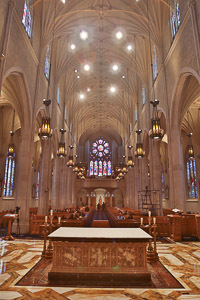 Announcing the Cathedral project, he said, “We want it beautiful, as well as useful. 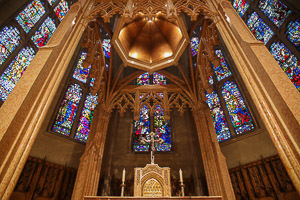 Blending use with beauty has great results, for a beautiful Cathedral is not only the Seat of the Bishop ruling, teaching, and dispensing of God’s spiritual gifts, but it is a great, silent, irresistible agency for the influencing of souls of people through the ministry of exalted art.” In 1933 this exquisite Gothic structure was blessed and given the name “Christ the King” ‐ the first Cathedral in the world with this name after Pope Pius XI instituted a feast by the same name in 1925.